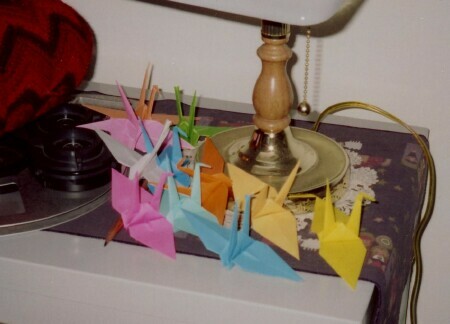 In 2003, Zachary took me to Hiroshima. Coincidentally, I was also reading a book called Black Rain by Ibuse which dealt with the bombing of Hiroshima. 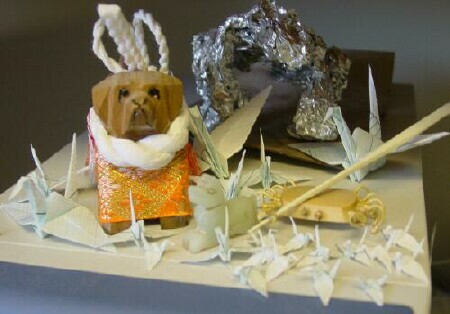 Among other things, Hiroshima if full of strings of paper cranes. 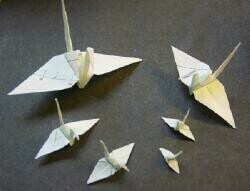 I started folding them and have flocks all over the house an in my office and lab. This page will tell a bit about them. 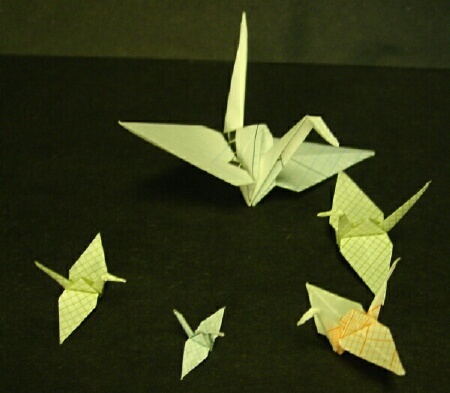 If you want to fold your own cranes, here are the best crane-folding instructions I have found. 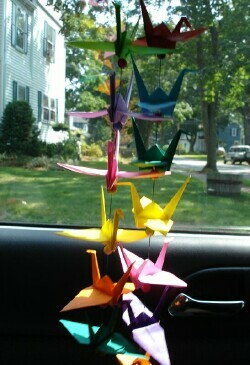 I'll just start with some pictures. I do realize that the layout on this page stinks. I'll try to fix it eventually. At the moment, I'd rather begin the search for food.